With decades of research to support, several science writers and news sources have reported a strong case against eating sugar. (See one of my favorite reads here.) From years of private counseling as well as murmurings from Zesty’s office catering clients, it is clear that most health conscious individuals “try” to limit refined sweeteners. This is no small feat, as studies have shown that sugar can be as biologically rewarding as cocaine. Ridding or reducing a sugar habit could take years of concentrated effort, but the tips below can help to make this goal achievable. I previously wrote about the effect of sleep on weight here. Sleep directly impacts our hormonal appetite regulation and can cause cravings for rich or sugary foods. Further, a poor night of sleep can reduce inhibitions and enhance impulsivity. When we are both sleep deprived and exposed to sugary foods, it can be extremely difficult to make behavior changes and resist treats. If you have slept poorly, practice awareness of your cravings during your office meals or snacks and note their origin. Over time, this may ease the transition towards healthier choices. Fat is an incredibly important nutrient for making us feel satisfied after a meal and stabilizing blood sugar. Make sure that all of your meals include some healthy fats to avoid sugar cravings. Alternatively, when experiencing a hankering for something sweet, try eating a handful of nuts instead. 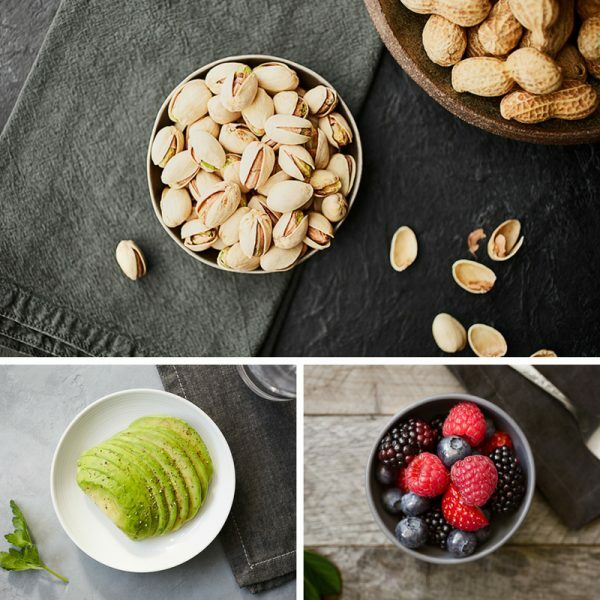 (A few healthy fat options available in most San Francisco office food pantries include: nuts, avocado, olive oil, coconut oil, and eggs). Studies have found that short bouts of exercise do wonders for steadying blood sugar levels, preventing spikes and dips that can lead to hunger and cravings. Additionally, exercise releases endorphins, which reduce stress and create a feeling of euphoria, thereby helping to limit sugar cravings that are emotional in origin. Regularly schedule 10-15 minute bouts of exercise throughout the day or when the desire for a treat arises. You could also try incorporating physical activity into your work day! Mindful eating has become a wellness movement that can be effective in treating emotional eating. To initiate this practice, simply observe your hunger and cravings, and try to differentiate between the two. You may not always be successful in avoiding the food you crave, but in achieving long term health goals, it can be helpful to have a strong understanding of your eating patterns and motivators. To learn more, browse the site: The Center for Mindful Eating. 5. Choose the lesser evil. I’ll be the first to admit that there is a time and place for indulgences, and when those occasions arise, enjoy them without guilt. At other times, choose foods or use strategies that reduce the impact of your treat. Berries are a great option for a low glycemic sweet compared to tropical fruit, such as bananas or pineapple as well as dried fruits. Apple cider vinegar taken before a meal may help to steady blood sugar levels, and cinnamon has shown similar benefits. If all else fails, choose the darkest chocolate you can tolerate to nip a sugar craving in the bud!